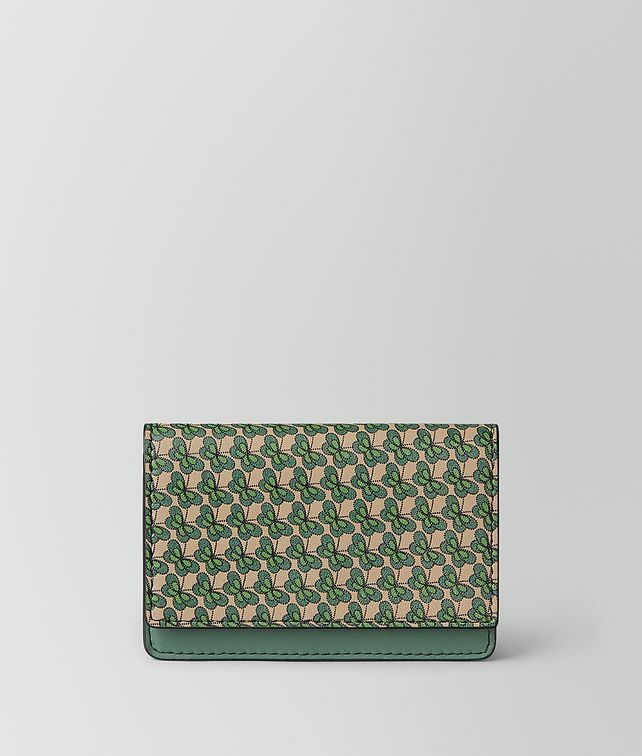 The slim card case is new for Cruise 2019 with a micro-print featuring the butterfly, a house code of Bottega Veneta. Hand-crafted from soft nappa leather, the style features a printed flap and solid leather back and interior. It is fitted with six card slots and a zip pocket for stowing small essentials.